Welcome again to another rollicking 25 days of whisky whisky whisky. What a ride it has been this year to get to this day. Unfortunately with the best intentions we inadvertantly killed our launch parties. We had some challenges with calendars on display being “played” with a little too much by some customers resulting in holes being punched out and whisky dropped on the floor and tears flowing. Having applied the awesome shrink wrap to deal with that we now find that no one has unwrapped it to find the launch party invitation. Just can’t win on this one. Anyway today is an awesome snowy day in Calgary and I’m looking forward to getting stuck into the first dram. It is a real treat for us this year to be able to offer up the first ever whisky selected and bottled by Secret Spirits. We are not looking to turn ourselves into a full time independent bottler but rather just throw our hat into the ring a little as we go on this journey. I feel extremely humbled that we are amongst great companies like A.D. Rattray, Wemyss, Malt Whisky Co. Samaroli and Single Cask Nation that have all been a part of making it all happen in previous editions. This time around we are even adding a few more amazing companies that we will get to meet in the coming weeks. So without further ado lets look at Whisky No. 1 for the 3rd edition SWAC. Our first stop is the Speyside region which as you are probably aware accounts for the vast majority of Scottish distilleries and as such normally makes up a good portion of the SWAC offerings every edition. Coming from or near the town of Rothes there are a few distilleries that could be potential candidates for this one lets check out the nose and the taste and you can make up your own minds because I have been sworn to secrecy. A quick look online will reveal the small number of distilleries to choose from so get googling. Time to grab that NEAT glass and get stuck into the fun part. 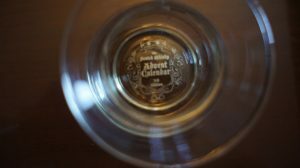 We decided to go with this unusual glass to further the cool collection of unique whisky glasses that we have started and because I was really impressed with how open this glass is and yet how much the nosing is enhanced without being overpowering. This will be going into my next series of whisky glass comparison blogs coming in 2017. Colour: Firstly it is light in color more like a rich Chardonnay than an 18 year old whisky. This is no doubt definitely due to this being a refill cask that is probably on its third time around the block aging delicious whisky just for you. Nose: Peaches and Cream on a pavlova base. No wonder I liked this whisky. Flavors from my childhood. Cindy got Creme Brulee which is her absolute favorite dessert so when we looked up from the wee sample bottle on a wild and wet day in Scotland and gazed deeply into each others eyes we knew straight away that this was going to be our first Secret Spirits whisky. Palate: Very slightly sweet and creamy palate here bursting out all over with notes of honeysuckle and French vanilla. Finish: 58.1 leaves a little lingering tingle to let you know its up there but does not take away from the whisky. The finish takes on an earthier note with a hint of aromatic bitters that I like a lot and actually has me craving another sip to load up the sweetness again. Dying hints of watermelon salad with just a touch of mint. This is one unique whisky with a lot of interesting layers. So fun to find this our first time out looking to bottle our own selection. I didn’t play with water but I’m sure it would be interesting to give it a little splash. Anyone like to take a guess at the distillery in question here? We of course could have and will in the future bottle whiskies with the distillery name on the label but those that have read some of my blogs in the past will know that sourcing an “undisclosed” cask can be really fun and invariably less expensive than it would otherwise be. Besides Secret Spirits just had to release a Secret Whisky its first time out right. 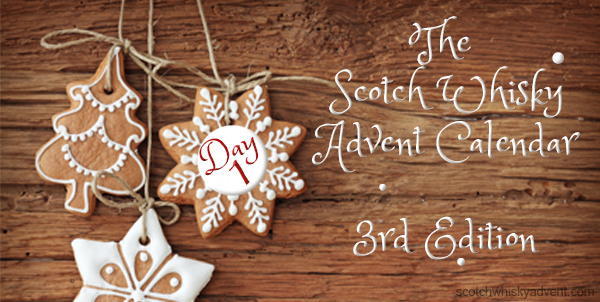 So thank you for joining in either on your first journey through our Scotch Whisky Advent Calendar or for coming along again. For those that want to reminisce over the Day 1 whisky last year you can look at my blog here and think about that lovely sherried Tomintoul from A.D. Rattray here. 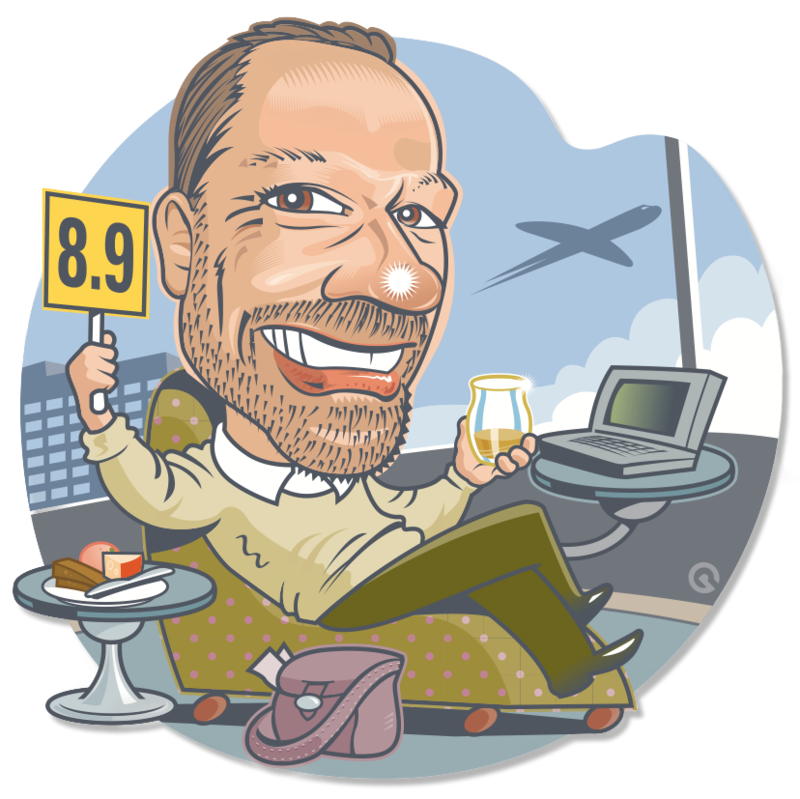 Please head on over to Whiskylassie to read Johanne’s take on our Speyside 18 along with all the whiskies from the 3rd edition over the next 24 days. If you like this whisky and want a full bottle you can email me for a list of retailers that will be carrying it at jonathan@secretspirits.com. Tomorrow we will be tasting something from those fun people at Wemyss Malts that love to tell you all about the whisky in the title. Heres to the next 24 days and by the way my calendar is number 736 what’s yours? Thanks Donna we try hard to pick a unique glass every edition hope your husband enjoys the ride. Nose: w/o water – bread dough, not in the sense of “yeast” but in a very welcoming warm way. Vanilla and cream and some fruit that I cannot place. Taste: w/o water – Smooth and sweet arrival, more so than expected given the 58% ABV. Finish: A strong/sharp lingering finish that lasts almost until I reach for my next sip!! I really have no idea as to where this cask is from but my guess would be Glen Grant. If I get two guesses I would then say Speyburn – if those are both wrong I would request a further sample to help refine my guesses. Super fun start to the calendar! Jonathan – read your post after my “no water nosing and taste” and happy to see the answer to my question re: the colour. Now sampling with an eyedropper of water and really enjoying the development. Sorry I can’t tell you either way for sure but given the number of distilleries around the town of Rothes you have to be very close with one of your guesses. I purchased this Advent Calendar because a bunch of my friends and colleagues love to drink Scotch and I have not had success finding a Scotch that I liked. So it was with anticipation that I opened the calendar today. And found that I liked this first sample! But then was dismayed that it was a secret where it came from! I have to resist the urge to buy a bottle of everything I like because the point of this advent calendar for me is to determine what types of scotch I like so that I can know what to order and what to look for in the wild. Kudos to you for putting this together as it was a great first day! Glad you liked our first bottling Jean and if it is still a favorite by the time you are done then email me and I can let you know who will have full bottles available. Just finished the first day of the Advent calendar. Great to have on such a cold and wintery night in the Yukon. Nose: Cream and some honey? Very pleasant . As I write this I can still feel my mouth tingling from the high ABV. Wow what a whiskey to start with! Like this one a lot. Warm and sweet. Creme brûlée hits it right on for me. Vanilla and hazelnut, dare I say balies liqueur. Can I add this to my morning coffee (never). A cold winters day sipper Forsure. Stellar opener… Makes me very excited to see what we are in for this year! Hello Ladies and Gentlemen and of course a special hello to our host Jonathan! Sorry for the late start on my advent calendar, my family and I have been very busy. Looks like a have a bit of catching up to do but I am up for the challenge. This is my first year enjoying your wonderful advent creation and I have found myself looking forward to opening it like a child waiting for Christmas day, a feeling I haven’t felt for a long time. Taste: w/o water – at 58.1% alc/vol its no surprise to say its a drink that shocks your taste buds but has a wonderful lingering Vanilla taste. 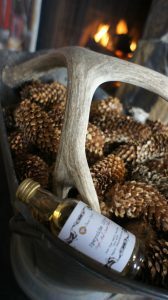 Taste: with water – I added a few drops of water and this made the scotch a lot smoother and gave my taste buds a chance to enjoy and explore this wonderful scotch. I picked this up at my local (calendar #425) not knowing it was the actually from 2016. That really didn’t matter to me as I am interested in learning more about Scotch. Just finished Day 1. So fantastic.